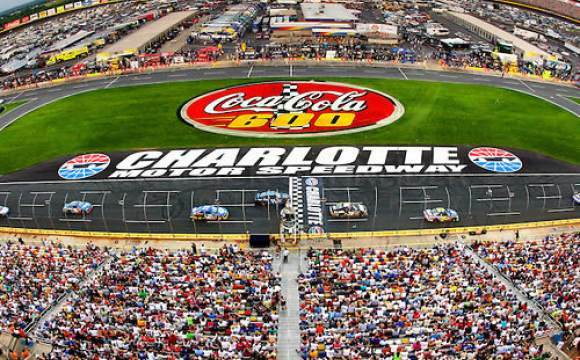 Kyle Busch will bring the field to the Green Flag in tomorrow nights Quaker State 400. Busch was able to hold off Martin Truex Jr. to win the pole at Kentucky Speedway with a lap of 29.397 (190.282 MPH). That lap wound up being a track record. 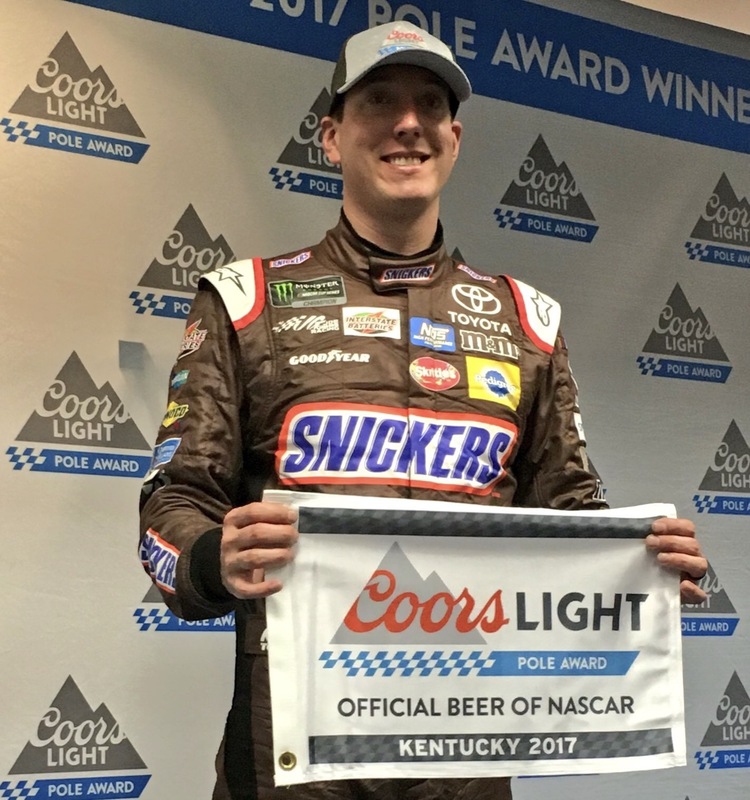 This is Busch’s third pole of the season and second career at Kentucky. 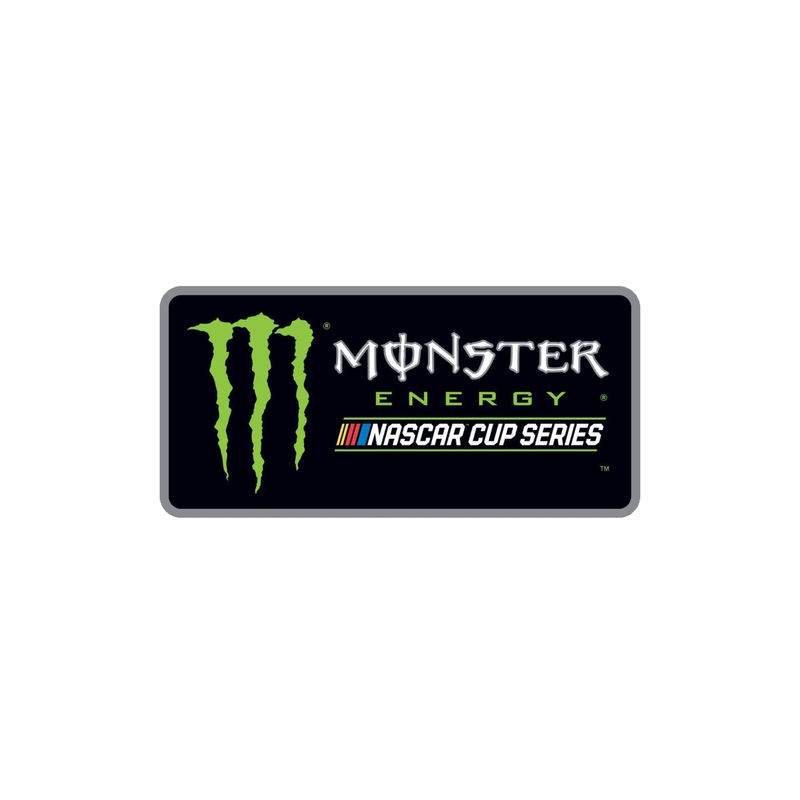 Monster Energy Cup qualifying was scheduled for three rounds Friday afternoon. After rain hit the area at the start of the third round, NASCAR officials agreed to set the field by round twos lap times. The fifteen-year veteran is winless in 2017 and is looking to punch his ticket into NASCARs Playoff. In his career at Kentucky Speedway, the pilot of the 18 JGR Toyota has two wins, 4 Top-5s, and six Top-10s. In fact, Busch hasn’t finished worse than 12th in six career starts at Kentucky Speedway. Four of the Top-5 qualifiers in the Quaker State 400 are piloting Toyotas. 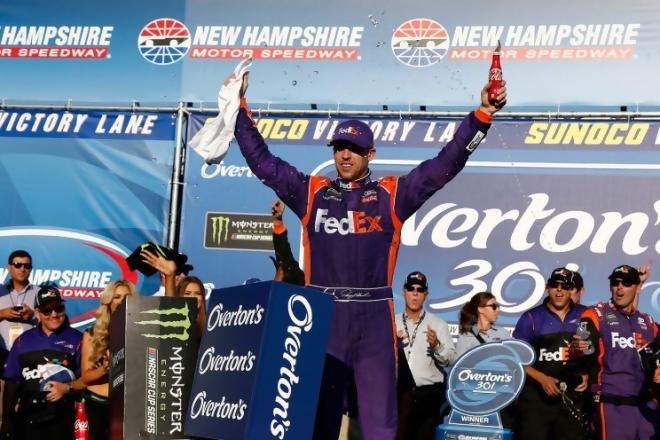 Busch’s teammates, Matt Kenseth, Denny Hamlin, and Daniel Suarez all will start in the Top-10. The trio will start third, fifth, and ninth respectively. Kenseth had some strong words earlier at a press conference on his future at Joe Gibbs Racing. The 20-year veteran said “I don’t think I will have the option to race for JGR next year.” In desperate need of a win, Kenseth is the only driver to have finished Top-10 in all six races at Kentucky. His lone win at the track came in 2013. Last years winner and three-time Victor at Kentucky Speedway, Brad Keselowski, will start 10th. The rest of the Top-10: Jamie McMurray (4th), Ryan Blaney (6th), Kevin Harvick (7th), and Jimmie Johnson (8th). The Monster Energy Cup Points Leader, Kyle Larson, failed pre-qualifying inspection and will start last. Green Flag for the Quaker State 400 is at 7:30 pm tomorrow night on NBCSN. ← Baltimore Should Sell, But Who?